Credit cards are now an indispensable part of the American way of life. According to the Federal Reserve, 74.9% of all U.S. households have a credit card, and 46.2% of all families carry a credit balance. In 2006, 666.3 million signature-based, general purpose cards were in circulation. The average household has $7,000 to $8,000 in credit card debt and pays 14.9% of disposable income in consumer debt payments. The average household with a 14.9% interest rate on a $5,100 balance pays $760 per year in interest payments. The median family income is now $43,200, and the typical family’s credit card balance is now almost 5% of its annual income. What are credit cards and why can’t we live without them? Credit cards are a convenient form of payment and are accepted everywhere. You present the credit card to the merchant, the merchant swipes your card to send the purchase information to your credit card issuer, then the issuer pays the merchant and adds this purchase to your credit balance. Instead of taking the money directly from your bank account or forcing you to pay it off each month, credit cards allow you to revolve your balance, which you pay for in the form of interest payments. Making a purchase with a credit card represents taking a loan from credit card issuers. If you use a credit card to pay for a hamburger, airline tickets, or medical care, you are now in debt to the credit card issuer. The best way to use the card is to repay that loan by paying off your total balance every month. Each month, the credit card issuer sends you a bill by mail or through email. The bill details the purchases that you made that month, the minimum payment due, the total balance due, and any fees if they apply. Reviewing each bill for any errors or for changes to the terms of your card is important. You must make at least the minimum payment each month (typically 1% to 5% of your balance); however, if you pay only the minimum, it will be many years before you pay off your balance and you will end up paying large amounts in interest. You have approximately 14 to 20 days to pay your bill. If you miss a payment or go over your credit limit, you are charged a fee and you may actually damage your credit score. Used correctly, credit cards provide a flexible, convenient method of payment, may boost your credit score, and may even offer rewards. Correct usage means paying off your card each and every month, and only charging things that you could afford to buy if you were using cash. If you must carry a balance, your goal should be to get your balance below 30% of your credit limit. Credit usage comes with many damaging hazards. Credit cards make it too easy to purchase an item on impulse or to buy something that you actually can’t afford. Pay close attention to making your credit card payments. Making a late credit card payment is extremely easy, regardless of your income or credit score. A late payment will show up on your credit report and may result in a higher rate (as much as 30% higher) from not only your credit card issuer, but from your other creditors as well. A sudden increase in your balance or going over your credit limit may also trigger a lower credit score and higher interest rate. Credit cards are not one-size-fits-all, and one card is not right for everyone. Before you start, be honest about your payment plans—will you be able to pay off your balance each month, will you regularly carry a balance, or will you carry a balance during a few months of the year? Low Interest Credit Card—This is your only choice if you carry a balance. The lower your interest payment, the greater your ability to pay off your balance and the quicker you eliminate your credit card debt. Avoid low interest cards that charge an annual fee. Since you are only interested in the rate, not the rewards, there is no reason to get a card with an annual fee. Low Introductory Rate Credit Card—Balance transfer cards give you a chance to transfer your existing credit card balance to a card that offers a lower introductory interest rate.Calculate how much time you need to pay off your debt. If you pay the maximum amount that you can and pay off your balance in less than a year, take advantage of a card that offers a 0% introductory rate for 12 months. However, the trick is to avoid making additional purchases with the card during that time. New purchases will incur a much higher interest rate, which can wipe out the financial benefits of transferring your balance to the card.If you need more than a year to pay off your balance, look for a card that offers a low fixed rate on balance transfers. Realize that one late payment can change your rate to a punitive default rate that can be as high as 30%.Many cards allow you to apply first to see what your offer will actually be and then transfer your balance within a few months to a year. Keep in mind that the median credit limit is $13,500. You may not be able to transfer your total balance and may end up with a remaining balance on your old card. Most cards also charge a balance transfer fee of at least 3%. Rewards Credit Card—Reward cards are a good choice only if you pay off your balance every month. If you carry a balance several times during the year, look for a lower interest card, not a reward card. If you are considering a reward card, decide whether you would like a rebate or some type of reward for an interest or hobby that you may have—travel, hotel deals, discounts at bookstores, home improvement centers, merchandise, etc.Next, look at your annual credit card usage. If you charge less than $5,000 per year, your best option is a general reward card, such as Blue from American Express. You can select rewards on lower levels like gift cards to restaurants and retail stores that you frequent, or that may be useful to you. You can earn these gift cards during the first year. If you have an airline reward card and charge $5,000 or less each year, you may take five years to earn a free ticket (most cards offer a free, domestic airline ticket for 25,000 points). If your usage is more than $50,000 per year, look for a card with unlimited rewards. Some cards cap rewards starting at $50,000. Alternatively, you can have two different reward cards to get both cash and a free airline ticket.Finding the best reward card is difficult because the offers are hard to compare. For comparison, assume that the average reward percentage is 1%. Plug your credit usage into the reward formula to determine if that card offers you more or less than 1%. If the card offers you more than 1.5% of what you spend, it may be a good deal for you.Hotel reward cards have the most generous point distribution for everyday purchases, general purchases, and bonus points. Some hotel cards, like Choice Privileges Visa and Starwood American Express, allow you to redeem points for airline tickets or retailer gift cards. U.S. consumers have an average of four credit cards. Fourteen percent of the population has more than 10 cards (statistics from Experian). A typical consumer does not need more than two credit cards. If you have more than five, start paying them off and close the newest accounts. Keep the oldest ones to help build your credit history. If you carry a balance on these cards, keep the balance below 30% of the credit limit for that card. If you have department/retail store cards, get rid of those first. Store cards are tempting with their initial discount offers and easy approvals, but they carry very high interest rates. The types of credit you use make up 10% of your credit score. Ideally, you want to have a good mix of credit, including a mortgage, credit cards, an auto loan, and others. However, you do not need a loan for each of these. To help your credit score, have a revolving debt instrument such as a credit card, and an installment loan such as a mortgage, auto loan, or personal loan. Major credit cards like American Express, Visa, MasterCard, or Discover are better for your score than a department store card or a card from a finance company. The credit score formula looks at the number of accounts you have, the age of your oldest accounts, and the age of your youngest account. Be careful about closing credit card accounts because this can actually lower your credit score. Closing accounts reduces your available credit, making your balances a larger percentage of your credit limit, giving the appearance that you are maxing out on your debt. Since age of accounts is a factor in your credit score, keep your oldest accounts active. If you close these accounts, your credit history may appear younger than it really is, which may result in a lower credit score. Occasionally using these older accounts is a good idea, even if you only charge something small each month and immediately pay it off. No matter how good the offer, the discount, or the rewards sound, do not apply for credit cards or other loans you do not need. Your first few accounts build your score; after that, they are a red flag that you have too much available credit, which may lower your score. Do we spend more when shopping with a credit card? According to a Dun & Bradstreet survey, consumers spend 12% to 18% more when using their credit cards instead of cash. Buying things you can’t afford develops a habit of buying today and worrying about the payment tomorrow. Before you know it, years from now, you will still be making minimum payments and paying 15% to 30% interest on items that have been long forgotten. Be careful with each credit card purchase. Make sure that you really need it. If you carry a balance, remind yourself that you are paying interest on that purchase, making it more expensive. The average household with a 14.9% interest rate on a $5,100 balance pays $760 per year in interest. The typical consumer has access to approximately $19,000 combined from credit cards. More than half the people with credit cards use less than 30% of their total card limits. Just over one in seven uses 80% or more of his credit card limit. If you receive a credit card offer in the mail, do not start with the big print in the promotional description or the invitation letter. Instead, look at the fine print at the bottom or back of the offer. It is also a good idea to find the card online for complete terms and conditions. What rate will I receive? Realizing that you may not receive the advertised rate, look at the rate tiers in the Summary of Annual Percentage Rates for other rates that you may receive. How long is your grace period? The grace period is the interest-free period that a lender gives to credit card holders. It extends from the transaction date to the billing date, if no balance is carried over from the previous billing cycle. The longer the grace period, the longer you have a 0% interest loan. Generally, the grace period is between 20 to 30 days. If your card includes a grace period, the issuer must mail your bill at least 14 days before the due date to give you enough time to pay. People who carry a balance on their cards do not receive a grace period and finance charges begin on the date a purchase is made with the credit card. Are your finance charges calculated on an average daily balance or two-cycle billing basis? Two-cycle billing uses the last two months of account activity, eliminating the grace period, and usually resulting in higher finance charges. The interest on a balance is retroactive to the date on which the purchases were posted to the account. If you are transferring a balance, how much will you be charged for the balance transfer fee? 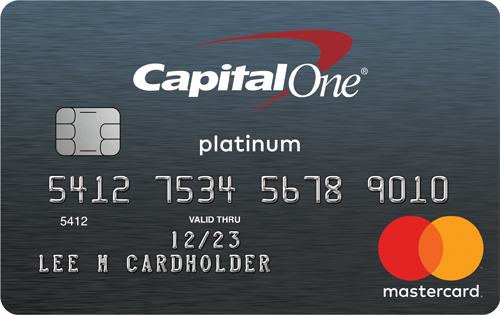 A few cards (like Simmons and Capital One) do not charge a fee for balance transfers. Some charge 3% of the transfer, with no maximum. Is there an annual fee? In most cases, you do not need a card that charges an annual fee. There is no extra benefit from paying an additional $50 to $100 per year for a credit card. How is APR a factor? APR (Annual Percentage Rate) is a yearly fixed or variable interest rate that measures the cost of credit. It reflects the total yearly cost of the interest on a loan, expressed as a percentage rate. Getting a cash loan from your credit card company is very expensive and should be avoided. The cash advance APR varies by card and ranges from 20% to 24%. If you get cash with your purchase (even $20), most issuers consider this a cash advance. 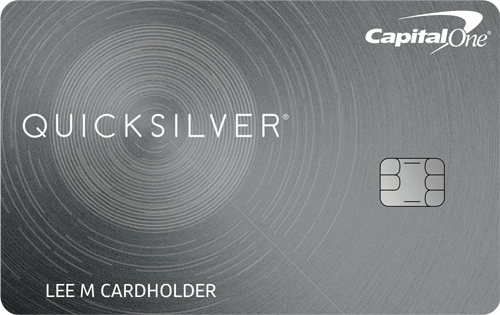 The exception is Discover, which offers cardholders up to $100 in cash above the amount of their purchases at select merchants without charging the cash advance fee. How do issuers determine the offer that they give to you? The variety of card offers gives consumers choices and allows the creditor to create products and incentives for specific market segments and to price them to reflect the underlying risk of each segment. While credit card issuers seem to send offers to anyone with a mailbox, they actually prescreen potential customers. They establish specific criteria such as credit score or account usage (number of credit cards already held and outstanding balances). Credit scoring agencies provide information on customers in their database who meet such criteria. Prescreening allows creditors to avoid the cost of sending solicitations to large numbers of consumers who would not qualify for the products offered. Issuers review a number of factors during the application process, including credit history, debt burden, employment and income status, length of employment, and mortgage or rental history. They use this information to calculate the debt-to-income ratio and to predict the consumer’s ability to pay. Only cancel cards with empty credit lines. If you have a balance, pay off the card before you close the account. Inform the issuer in writing sent by certified mail. Get them to acknowledge that you are the one closing the account. Keep a copy of the letter and the “closed by customer” acknowledgment in your personal records. If you pay off your balance, keep a copy of the check. After the account has been closed, cut up the credit card to prevent yourself from accidentally using it. After you cancel the account, your issuer will send you a written notice that the account was closed. Keep this for your records. In 45 days, double-check to make sure the account was closed. Visa, MasterCard, American Express, Discover: Is there a difference? Does it matter? Visa and MasterCard are accepted almost everywhere in the U.S. and in over 150 countries. Visa and MasterCard are just methods of payment; banks such as Bank of America, Chase or Citibank issue the actual credit cards. Banks determine credit card rates, terms and conditions, and rewards. American Express and Discover are not as universally accepted as Visa and MasterCard; if American Express is the only card in your wallet, you may find yourself in a situation in which you have to use cash, or cannot make a purchase because the merchant will not accept your card. 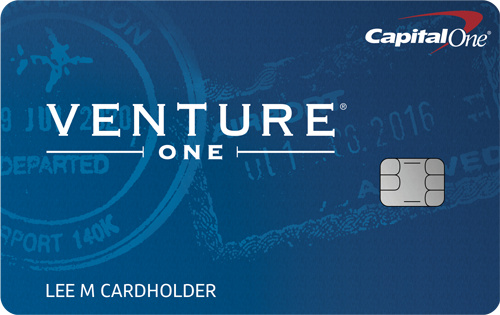 Although not as widely accepted, American Express and Discover have attractive reward cards. If you have one of these as a primary card, it is a good idea to have a Visa or MasterCard as a backup. Discover has the smallest acceptance, but is trying to increase its share. According to the Nilson Report, Discover has penetrated nearly 75% of the merchants that accept Visa and MasterCard. The following chart illustrates the percentage of cards in circulation, by brand.